Thanks, I've been trying to work at those sort of things! It's been a five year jump since the last scene. 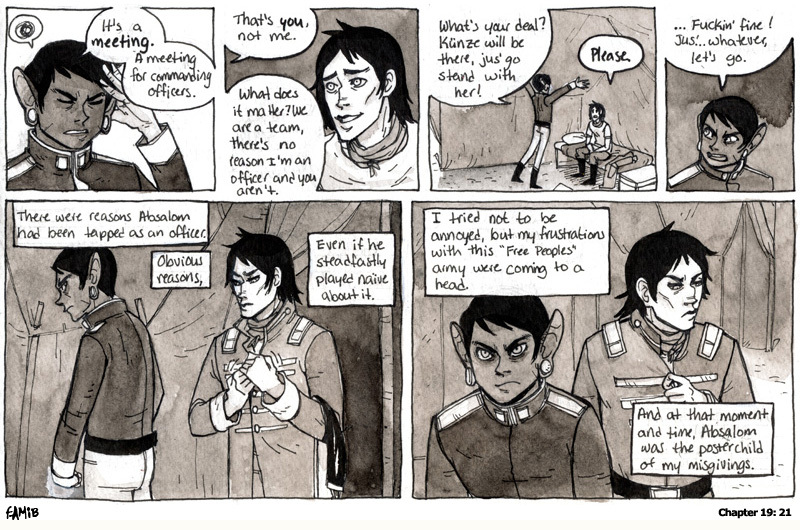 Absalom has become a lieutenant colonel, Ram is directly under him as a sergeant major. I've been reading far too many wiki articles about military rankings.